The weather does not bring any warmth these days so far and we spend lots of time inside thinking about hot destination and upcoming summer. Nevertheless, we had a fantastic opportunity to spend some time in water and learn how to swim like a fish at Aquamermaid school opened last year in Toronto. I really like Disney’s “A Little Mermaid” animation movie, where I always question, why Ariel left her beautiful home, Under the Sea is the best place to be. I really admire mermaids’ flexibility and grace, beauty and magnificent moves. All those skills now you can learn in Aquamermaid Academy where professional instructors will teach you how to become a merfolk. Teddy decided to become a Little Neptune on training and was looking forward to visiting Mermaid school. 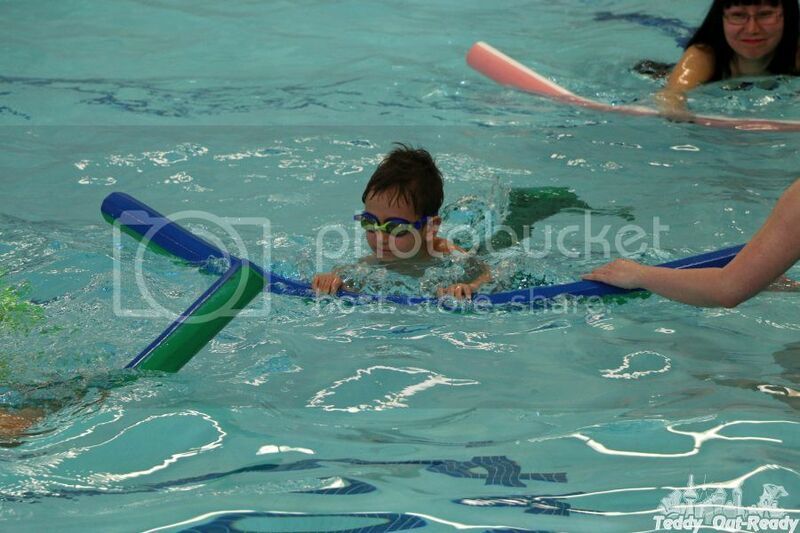 Our little one was very excited to join the class, I think he found how to use swimming talents right away and previous swimming lessons were very helpful. First, we had to choose tails to swim in, and that was pretty interesting part. 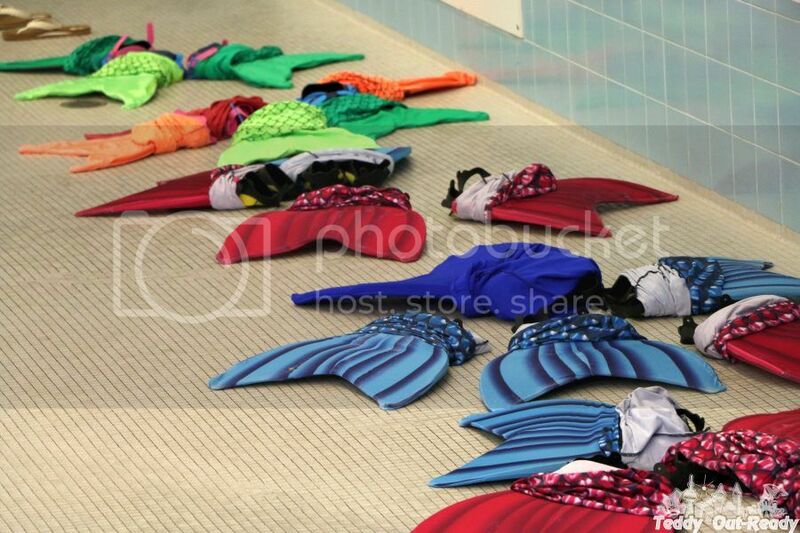 Aquamermaid School has many colorful tails for a class to fit your swimming outfit. Teddy chose green and I took blue one. The selection of tails is also very good in sizes from kids to adults, you can easily get the right one with instructor’s help. The class was one hour long where with other participants we learned how to swim back and forward across the pool, dive in, work with our hands, body and synchronize our moves. Teddy even rolled in the water several times. While we had a really fun experience, the class involved a good fitness activity. The other part of the group, that turned out to be experienced mermaids, impressed us with beautiful moves and colorful tails. 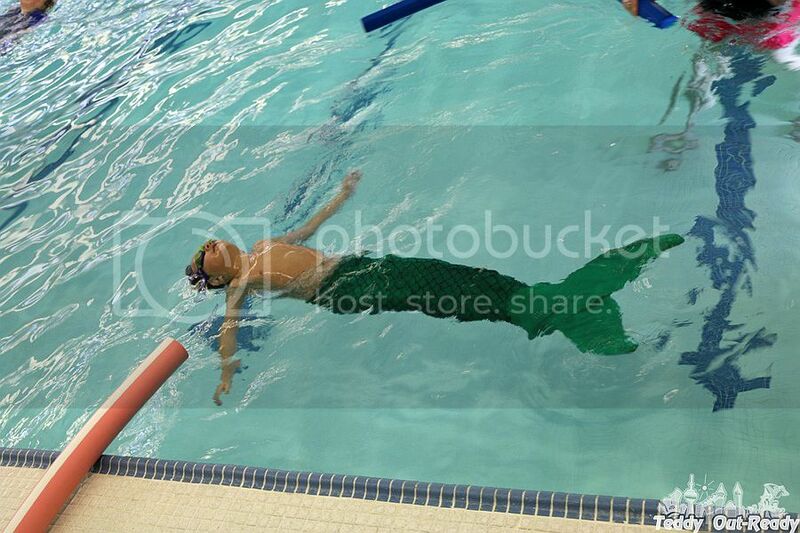 Aquamermaid Academy offers great structured classes for kids and adults split by activities and levels. 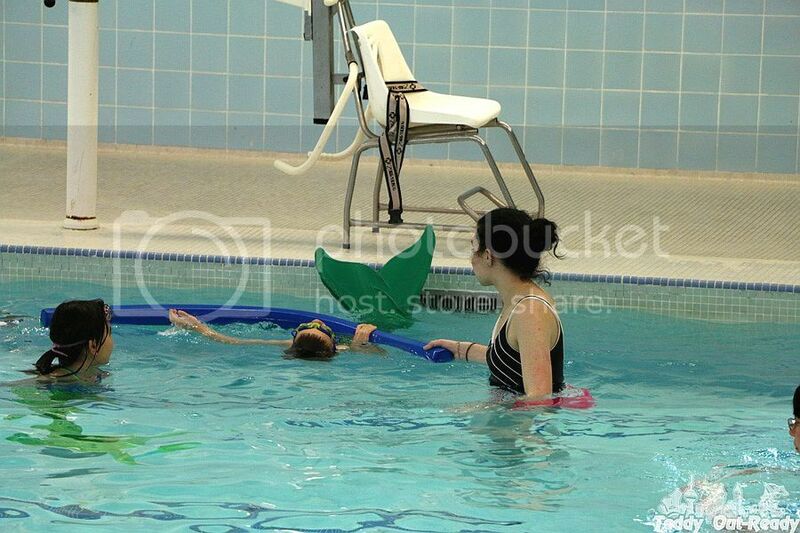 From swimming exercises to games, little mermaids learn every class and master their skills. For example, we were first time and we learned the basics of mermaid swimming with our instructor. You can check on-line what activities the class consists of. AquaMermaid is a wonderful combination of artistic moves and fitness exercises. 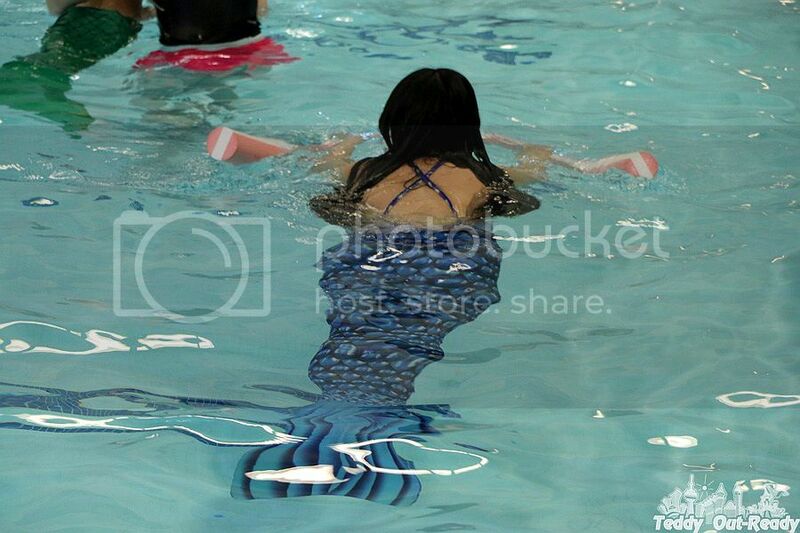 Now the school offers mermaid classes in Montreal, Ottawa & Toronto. 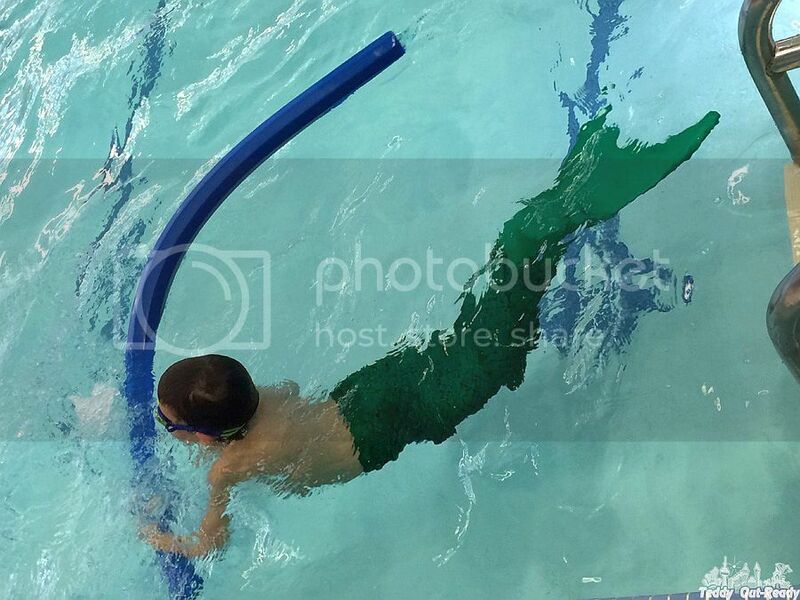 One class is $60 for both children and adults, what includes tail rental and swimming instructions. One year membership is available for purchase on-line with special perks and activities involved. 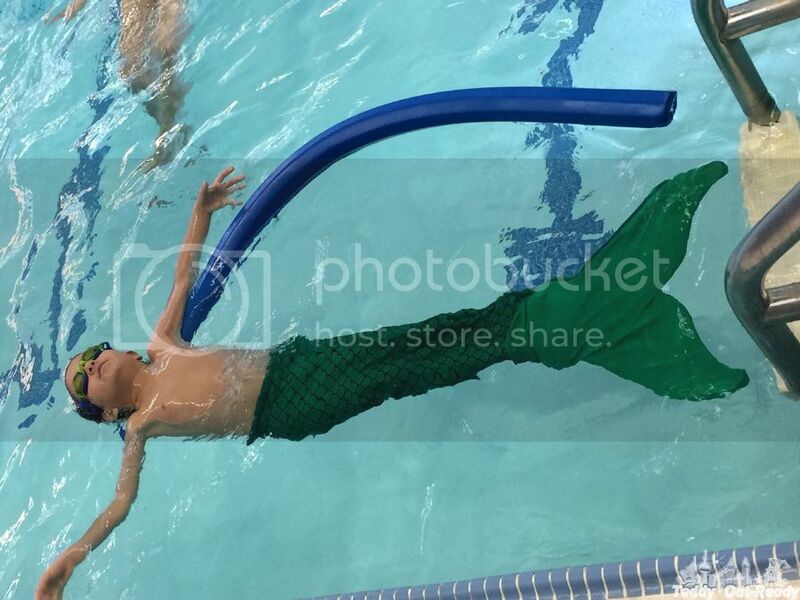 AquaMermaid also offers fantastic Mermaid themed birthday parties for kids all ages and adults. Our Neptune already asked when we go back to training. While it was pretty challenging for me, it was fun for sure. 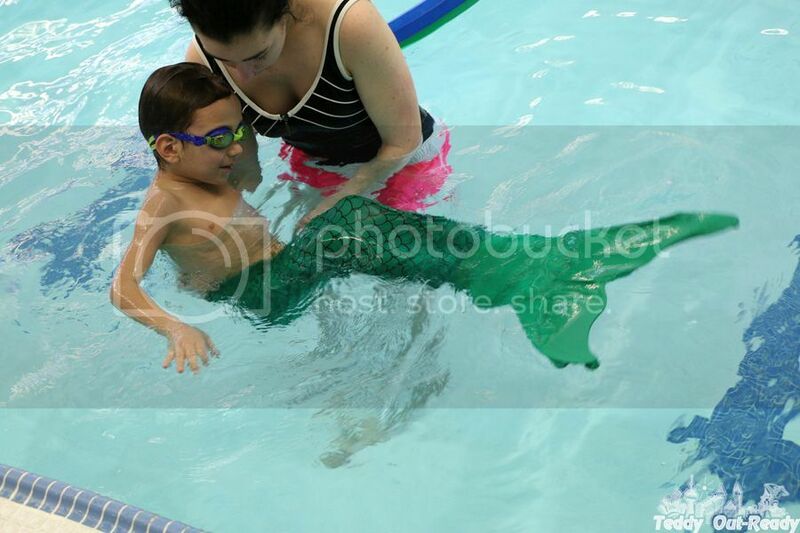 For more information about locations, classes and activities, please check AquaMermaid site.